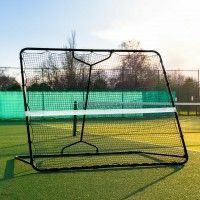 Suited to the best tennis courts in the world, this championship tennis net features a double-layered top 6 meshes, giving greater protection to the most used area of the tennis net. 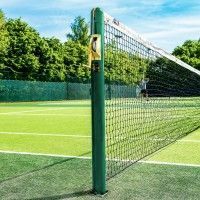 Brimming with professional quality, the 3.5mm DT Championship Tennis Net comes with the option of adding a traditional canvas Wimbledon Headband (as seen at the championships). 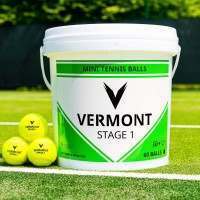 Coming with a choice of PVC coated steel headline wire cable included (loop & pin or double loop), the Vermont DT Championship Tennis Net is compatible with all standard tennis posts. 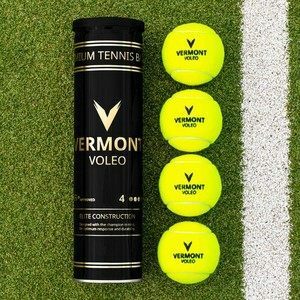 An elite tennis net that can’t be matched when it comes to professional quality and authenticity, the Vermont 3.5mm DT Championship Net is an excellent addition to your tennis court. 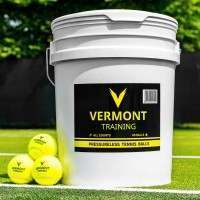 Created by proud tennis experts, this tennis net exclusively features premium-grade materials which allows it to deliver an elite performance with exceptional longevity. 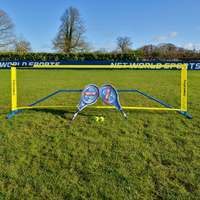 Coming with a choice of high-quality net headband (Standard or Wimbledon), this tennis net includes a tennis net headline wire cable, making it compatible with all standard tennis posts worldwide. 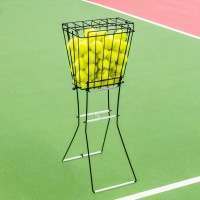 Conforming to official ITF Tournament Regulations, this championship tennis net guarantees a world-class performance every time it’s used. The 3.5mm braided HDPE netting features an innovative double-layered top 6 meshes, which protects the part of the net most vulnerable to tennis ball impacts. 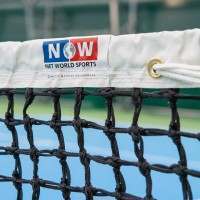 As well as a DT design, the impressive net twine has also been UV treated and features machine-stitched rope edges for exceptional weather-resistance and fray prevention. 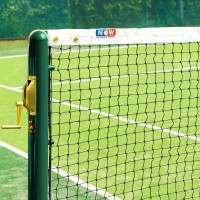 The overlock edges also ensure lacing the net to your tennis posts is a quick and simple task. 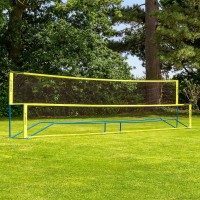 As well as the premium netting, this tennis net also features a choice of an elite tennis net headband to complete the high-class tennis court accessory. Optic white and quad-stitched using an ultra-heavy-duty thread, both styles of headband guarantee outstanding durability and help to dramatically reduce net distortion. 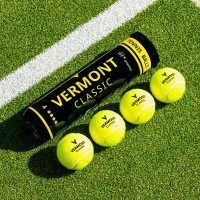 The Wimbledon headband (as used at the championships), is made using traditional polyester canvas for a professional and authentic appearance. The standard headband is created using vinyl-coated polyester, giving it an excellent lifespan. 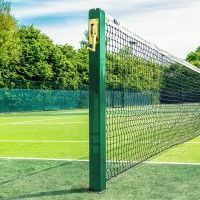 Compatible with all standard tennis posts across the world, this championship tennis net offers a ‘Universal Fit’ thanks to the included Tennis Net Headline Wire Cable. 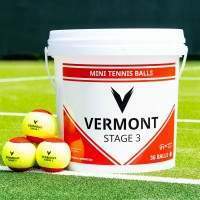 The quality PVC coated steel construction is available in two styles; Loop & Pin or Double Loop, ensuring you’ll have the perfect wire to fit your tennis posts.